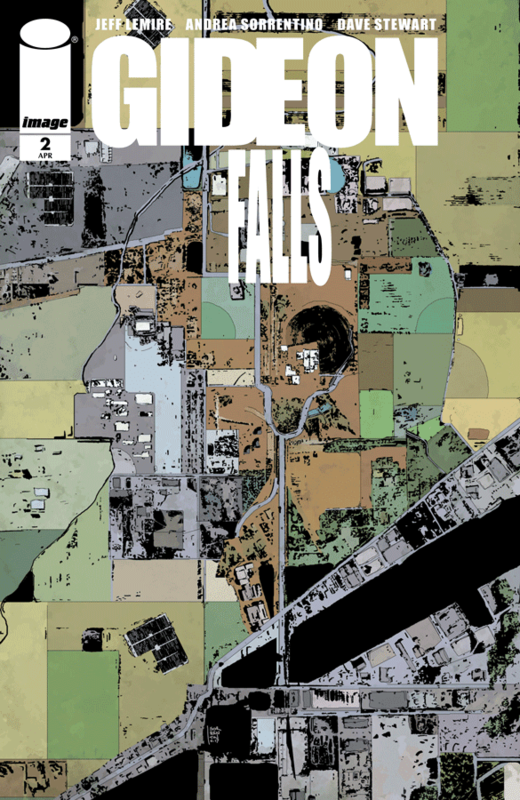 Matt C: We're all looking forward to Gideon Falls #2. It was a big hit with the PCG - as you'd expect with a Jeff Lemire/Andrea Sorrentino combo - and the mystery of the Black Barn will keep us coming back for more, even though it's unlikely the full picture will be revealed just yet. Also from Image Comics is The Dead Hand #1, a spy tale set during the demise of the Soviet Union, penned by Kyle Higgins (who has impressed us greatly with the likes of C.O.W.L. and Magnus over the last couple of years) and we get another issue of the ever excellent Deadly Class to keep us going too. Over at Marvel is Captain America #700, another of those renumbering 'wins' for the House of Ideas, as they can deliver a bumper-sized issue even if it's questionable that the '700' is accurate (I'm not counting them; I'm happy being cynical!). After a promising start this run on the title has been a bit thin in terms of a substantial plot; it's a little too familiar (a dystopian future under the jackboot of fascistic leader! Go Cap!) and has rattled along too swiftly for the themes to really resonate. Something of a disappointment all told, and to add to Marvel being in disappointment-mode, it's the last issue of Thanos, which has been terrifically entertaining since Donny Cates and Geoff Shaw took over. Full scale cosmic madness in abundance, it's a grand shame that the continuing adventures of the Mad Titan will cease for the time being, particularly as he's got a headline role in a certain movie due to grace our cinemas in a couple of weeks. Such is the nature of the comic book marketplace though; many of the best titles will sink with low sales, regardless of acclaim, because safer bets are often much more appealing. Pick it up as a trade so I can say "I told you so!". Andy H: This weeks pull is a bit Marvel heavy, as we reach milestones, check out some of the latest issue #1s and see a changing of the guard on my favourite team book of the last year and half. First up, Captain America #700. Mark Waid and Chris Samnee have done some nice work with Steve Rogers after the events of Secret Empire. The 'Out of Time' storyline, which concludes here, hasn't been one of my favourites but I hope this final part will make the pay out worth it. Plus we get some classic Jack Kirby art in a backup story. Nice! In Champions #19, Jim Zub and Sean Izaakse take over from Waid and Ramos: big boots to fill. This issue also sees Ironheart and the Unstoppable Wasp join the team of teenage heroes. The original line up, and the dynamic between them, made this a great read. I hope it continues as the new creative team and new roster settle in. Fresh from her stint in Weapon X (and before her appearance in the new Deadpool movie), Domino gets her own ongoing series. I may have passed this over on a busier week but with Gail Simone as writer, it's a no-brainer and deserves a look. Issue #1 also sports a cracking Greg Land cover. Exiles #1 means Blink is back. We've been here before; Blink must save the multiverse but she'll need help. Not sure we really needed to revisit this idea but Saladin Ahmed is proving to be a very capable writer and I think could breath some fresh life and ideas into this title.